Casey S. Johnston, the founder & lead designer of Serious Audio Video, has been chosen as one of Commercial Integrator’s Top 40 Under 40. The Class of 2015 “CI: 40 Under 40” is an impressive list of men & women who are the industry’s top influencers. Consistently highlighted for unique design & problem solving, Serious Audio Video has earned a lot of recognition over the last few years and appeared on HGTV‘s Dear Genevieve. 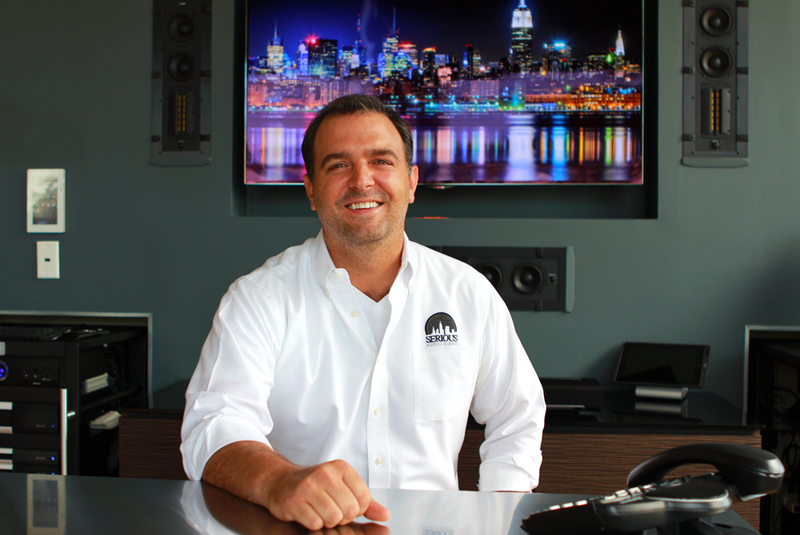 Our expertly designed & installed smart homes are scattered around the New York / New Jersey greater metropolitan area. An Industry Leader in commercial integration, our smart business systems are in some of the biggest clubs, sports bars, restaurants and fitness studios in the area. Each of them came to us with their own ideas of a dream system and unique hurdles for their industry or location. Visit our Recent Projects section for a look at some of the smart homes & businesses designed by Casey S. Johnston & Serious Audio Video. We design systems that are as functional as they are attractive. We’re proud to be led by one of the top almost 40 year olds in the industry.